WE USE coffee in so many ways a�� to start the day, to get through the day, to catch up over or simply to relax. While South India has had a strong coffee heritage up until now, international chains importing a more pronounced coffee culture have opened up the country to the various versions of the beverage. What is good to note is that as much as the international trends have caught on, the desire to explore Indian varieties is as strong. 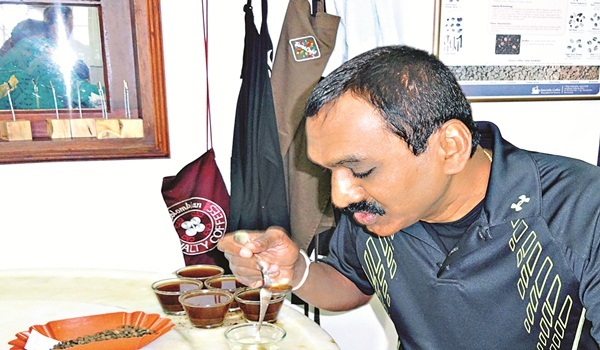 At the recently conducted World of Coffee 2016, organised by Specialty Coffee Association of Europe (SCAE) in Dublin, the 150-year old Harley Estate, in Sakleshpur was awarded the Best Specialty Robusta in India for the fourth year in a row. Speaking on how a global lifestyle is now ingrained in urban India, DM Purnesh, MD of Classic Synergy India Pvt Ltd that owns and manages Harley estate says, a�?Coffee is a complex taste profile, with a wide range of choices and diverse methods of brewing and consumption. It has therefore always piqued the interest of consumers, emerging as a lifestyle statement.a�? The consensus is that the outcome of this trend has been the incredible rise in demand for premium, high-grade Indian coffees. Always admired the world over (Robusta from India is, for instance, considered the best Robusta in the world), the share of Indian produce consumed domestically has grown exponentially. Purnesh believes that there are two very important trends coming of age. One is the sheer increase in geographical spread. a�?Traditionally, coffee consumption was very high in South India, with some limited off-take in Tier 1 centres. Today, we are witnessing a strong demand from a wide range of markets in all parts of the country. Some non-traditional markets, Delhi for instance, have emerged to be extremely progressive, with keen gourmet coffee consumers.a�? The second trend is the immense knowledge and very particular taste preferences that Indian consumers have today. a�?People are conscious of the exact flavour profiles, mouth feel, aroma, etc. that they prefer; and are willing to experiment to find products that suit this profile. Several people are well aware of grades of coffee, region and other parameters. They also have very clear preferences on technical nuances such as roast profiles.a�? Additionally seen is the preference to brewing at home, a strong indicator of peoplea��s desire to experiment and explore the world of coffee. Tapaswini Purnesh, fifth generation coffee planter and director a�� marketing and promotions for Classic Synergy India Pvt Ltd, is also an alumnus of Le Cordon Bleu in Paris. Speaking on interesting brewing techniques, she says that some easy-to-use equipment like the Mocha Pot, Pourover, and Vietnamese filter are gaining popularity. a�?A slightly more expensive but efficient option is an Aeropress. If you have the patience to wait 20 hours or more, you could try your own cold brew at home, with coarse ground coffee in cold water,a�? she adds. She speaks highly of the pulp sundried specialty pressed coffee which is a combination of any high quality Arabica and Robusta. Her personal picks for pairing with coffee are flavours such as orange, coconut milk, dark chocolate (spiked with hints of spice), and lightly salted caramel. And so there you have it. Ita��s no longer about merely waking up to smell the beans, but rather, the infinite possiblities that they present.